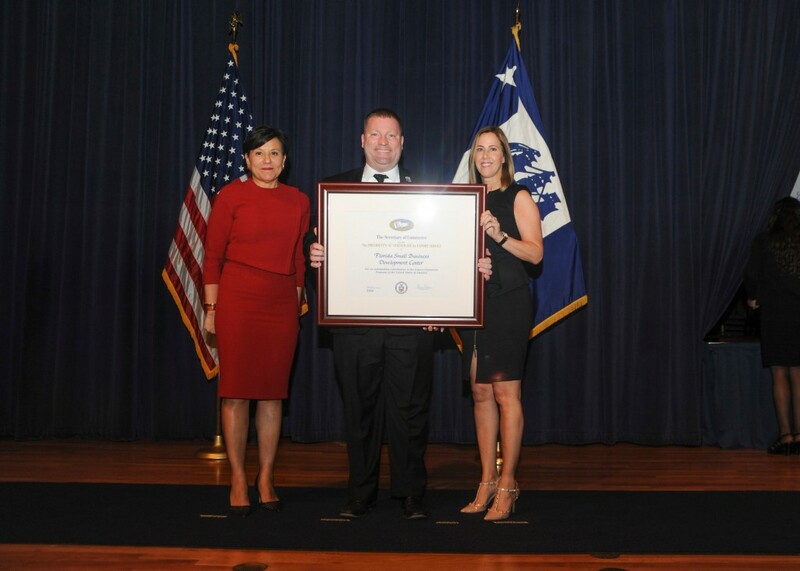 FSBDCN State Office (Pensacola, Fla.) – U.S. Secretary of Commerce Penny Pritzker today presented the Florida SBDC Network with the President’s “E” Award for Export Service at a ceremony in Washington, DC. The President’s “E” Award is the highest recognition any U.S. entity can receive for making a significant contribution to the expansion of U.S. exports. “[The] Florida SBDC has demonstrated a sustained commitment to export expansion. The “E” Awards Committee was very impressed with the Florida SBDC’s work to help first time exporters understand the export process and enter new international markets. The organization’s dedication to expanding export knowledge through its extensive pro bono work was also particularly notable. [The] Florida SBDC’s achievements have undoubtedly contributed to national export expansion efforts that support the U.S. economy and create American jobs,” said Secretary Pritzker in her congratulatory letter to the company announcing its selection as an award recipient. Celebrating its 40th anniversary in 2016, the Florida SBDC Network is a leading source of export assistance for small businesses in the state. 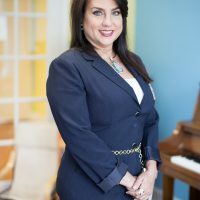 Through the network’s International Trade Services, businesses that are new-to-export or are looking to grow through exports receive training and consulting that exposes them to profitable management practices and international marketing techniques. Through a partnership with Enterprise Florida and the U.S. Commercial Service, International Trade Specialists prepare Export Marketing Plans (EMPs) for qualifying Florida-based manufacturers and service providers. Specialists spend approximately 100 hours on each EMP, creating a customized report with target market recommendations, overseas trade opportunities, and an action plan for market entry. In 1961, President Kennedy signed an executive order reviving the World War II “E” symbol of excellence to honor and provide recognition to America’s exporters. Today, Secretary Pritzker honored 123 U.S. companies with the President’s “E” Award for their outstanding work to reduce barriers to foreign markets and to open the door to more trade around the world. Among the award recipients were Newberry-based Endoscopy Replacement Parts, Inc., a client of the Florida SBDC at the University of North Florida, and HornerXpress Worldwide, Inc., a training client of the Florida SBDC at Fort Lauderdale. Other Florida winners were Palladio Beauty Group and the Tampa Hillsborough Economic Development Corporation.